Chris Pierce, project manager with the Conservation Resource Alliance, oversees the dam removal on the Maple River. Thousands of dams have been built across the Great Lakes region, but many are old and in danger of collapsing. In Michigan, conservation groups and state agencies are pooling resources to remove or repair dams before it’s too late. Michigan has about 2,600 dams. Most were built decades ago to generate electricity, control floods and create lakes for recreation. The Maple River Dam, in the northern part of the state, holds back nearly 43 acres of water in Lake Kathleen. The dam’s about 18 feet high — and it’s in rough shape. "The thing is with a lot of these dams, and as you and I stand here and look at it right now, you can see this deteriorating concrete," said Chris Pierce. "It’s falling apart. Maybe we shouldn’t even be standing here right now, who knows." Pierce, a project manager with the Conservation Resource Alliance, is overseeing the removal of the dam. "This is a newer dam compared to a lot of them that were built in the late 1800s and 1900s, and most of them were built with a lifespan of 50 to 60 years," Pierce said. 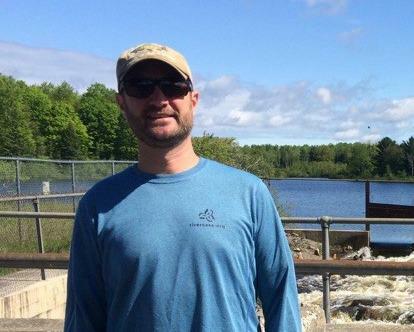 Time is almost up for a number of dams across the state, said Patrick Ertel, of the Michigan Department of Natural Resources. "By the year 2020, I believe, somewhere near 80 percent will have outlived that design life," Ertel said "That doesn’t mean that they’re going to fail the day afterwards. It just means concern needs to be given to each one of them — and growing concern." If the Maple River Dam collapsed, Pierce said, sediment could suffocate a large stretch of the river for years. That’s bad news for the Maple River’s extremely rare ecosystem. Cold, freshwater systems like this one make up .0001 percent of all water ecosystems. 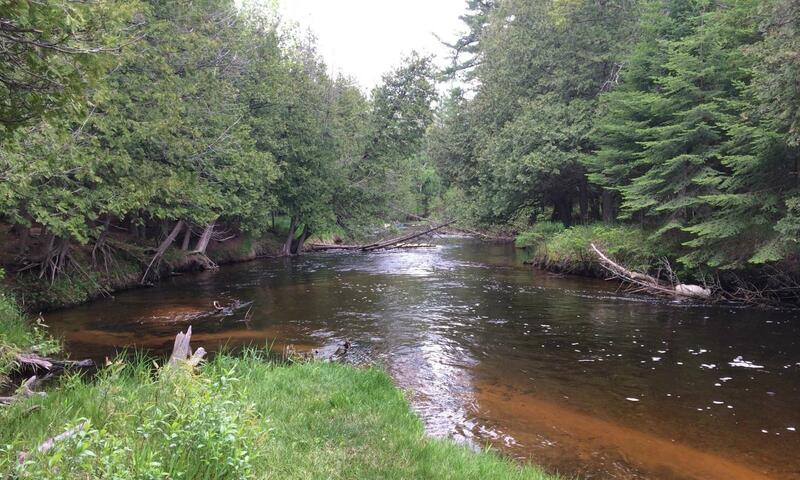 It’s home to brown trout, steelhead and walleye. Steve McCafferty has been fishing this river for 30 years. It carries many family memories. "I stop here every day on my way to and from work," McCafferty said. "My brother moved to this area, he recently passed away. So I try to keep fishing here. I’ve caught some really nice trout." A dam collapse would have a much broader impact, too, said Amy Beyer, director of the Conservation Resource Alliance. "Dam failures like that can be very expensive in terms of property loss, insurance claims, in the worst case even loss of life," said Beyer, whose organization is overseeing eight dam projects. "We think it’s important to be pro-active and to remove these dams in a controlled fashion." The problem, of course, is funding. The Maple River Dam removal is estimated at $2.3 million. "Of that, $1.1 million is Great Lakes Restoration Initiative funding," Beyer said. President Donald Trump wants to eliminate $300 million in annual funding for the initiative, which supports projects across the region. Trump has said such projects should be handled by the states. It’s hard to know how many dam projects receive funding from that big pot of federal money. But Beyer said her organization alone has received $20 million for dam removals. "And then those dollars tended to leverage additional dollars. That’s a good portion of the total price tag for those projects," she said. Beyer said before her organization tapped into GLRI funding, it was hard to get these expensive projects moving. "Until GLRI came along, it was very difficult to get a full tank of gas," she said. Both Beyer and Pierce said if the federal funding goes away, it will become much more difficult to find the money to support dam removal projects. But they said the funding will just have to come from somewhere else. This is a problem that can’t wait. Editor's Note: Ben Thorp is a reporter for WCMU in Michigan. This story is part of a series from Great Lakes Today, which is funded through a grant from the Corporation for Public Broadcasting.